Kitco News – Fund managers sharply increased their bullish positioning in gold futures during the most recent reporting week for data compiled by the Commodity Futures Trading Commission. Markets seemingly were factoring in a more dovish U.S. Federal Reserve even before policymakers gave markets a dovish surprise for the second straight meeting, analysts said. 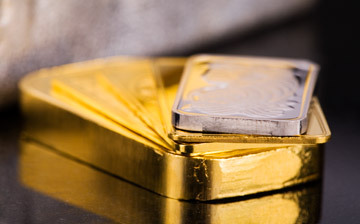 During the week-long period to March 19 covered by the report, Comex April gold rose by $8.40 to $1,306.50 an ounce, while May silver dipped 4.1 cents to $15.372. The CFTC’s most recent “disaggregated” report showed that money managers increased their net-long position in gold to 30,475 futures contracts as of March 19 from 17,407 the week before. The cut-off date for the data was one day ahead of the last meeting of the U.S. Federal Open Market Committee, in which policymakers collectively signaled that there may be no rate hikes in all of 2019. “Money managers aggressively covered their short gold positions and took out new long exposure as they anticipated the FOMC to sound a dovish tone,” said TD Securities. “The significant increase in length was also driven by the concurrent weakening of the USD [U.S. dollar] and renewed economic growth concerns. The disaggregated data showed that money managers cut their gross shorts by 12,452 lots. The number of new longs increased by a modest 616.